Tow bars and baseplates are great for hauling smaller loads of 5-10,000 pounds or less with your RV. 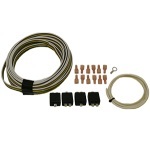 They are specifically designed for towing a car or other vehicle behind your RV. Most tow bars by BlueOx, Roadmaster and Demco easily come off of the RV and baseplate of the vehicle being towed and can be stored in the trunk. These are good, relatively inexpensive options for people who only need to tow a car behind their RV. A baseplate is necessary as an attachment point for the tow bars. Baseplates by BlueOx, Roadmaster and Demco easily attach to the front of the car. You’ll want to be very careful when placing your baseplate order to make sure that you get the baseplate that has been especially designed for use with the specific car or vehicle that you intend to be hauling behind your RV. Tow bars and baseplates are easy and convenient to use. They allow for easy hook up of a car behind an RV and easy detachment when you park the RV. 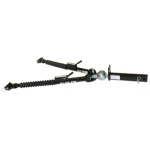 See our tow bar and baseplate pages for pricing, comparisons, and product reviews. Towing a vehicle behind your RV brings with it many benefits and challenges. On one hand you have a regular vehicle at your disposal that can make heading to town for supplies less of a hassle. You also have the ability to easily go on day trips, and touristy spots that would be very challenging in an RV. There are many instances where having a car would be convenient when on a road trip in your RV. Traveling cross country is a popular goal with a recreational vehicle. Getting a taste of the diverse cultures in theUnitedStateis an amazing experience. But without a car you are limited on what you can see. Not many places to park a RV other than a campground. With a towed vehicle you can leave the RV at a campground and explore the city. Go out to a nice restaurant one night or take a tour of the city historical building, even check out a museum. Without an additional towed vehicle you would be at the mercy of public transportation when trying to go places where an RV would be in the way. But with a secondary car you have a whole bunch of possibilities to explore more than just the campground. A towed car makes a recreational vehicle more than just a camper; it makes it into an all-out vacation home away from home. There are several options for towing a vehicle and at Dyersonline.com we have products to accommodate whatever option you prefer. A tow bar with base plate is usually a more compact low cost option. Depending on your car this may be just the ticket to towing your vehicle with the RV safely and without a lot of hassle. If you have any questions contact our customer service.